What can be more vital to each of us than our health? Yet, despite unprecedented health care spending, the U.S. health system is substantially underperforming, especially with respect to what should be possible, given current knowledge. Although the United States is currently devoting 18% of its Gross Domestic Product to delivering medical care—more than $3 trillion annually and nearly double the expenditure of other advanced industrialized countries—the U.S. health system ranked only 37th in performance in a World Health Organization assessment of member nations. 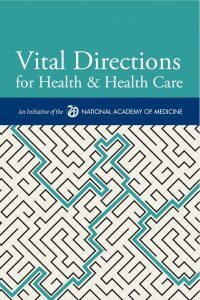 In Vital Directions for Health & Health Care: An Initiative of the National Academy of Medicine, the U.S. National Academy of Medicine (NAM, formerly the Institute of Medicine), which has long stood as the nation’s most trusted independent source of guidance in health, health care, and biomedical science, has marshaled the wisdom of more than 150 of the nation’s best researchers and health policy experts to assess opportunities for substantially improving the health and well-being of Americans, the quality of care delivered, and the contributions of science and technology. This publication identifies practical and affordable steps that can and must be taken across eight action and infrastructure priorities, ranging from paying for value and connecting care, to measuring what matters most and accelerating the capture of real-world evidence. 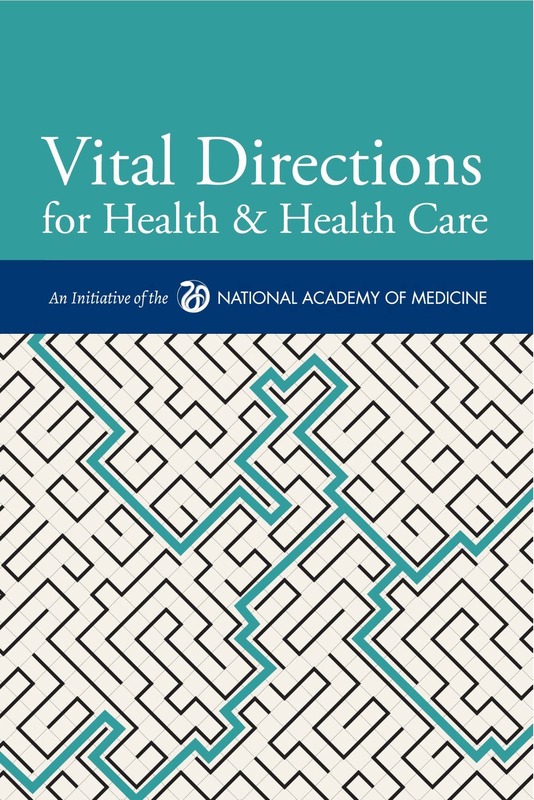 Without obscuring the difficulty of the changes needed, in Vital Directions, the NAM offers an important blueprint and resource for health, policy, and leaders at all levels to achieve much better health outcomes at much lower cost.